Glenfarclas Single Malt 12 years is a Scotish Whiskey ideal to drink it alone or with a drop of water. 100% maturation in sherry barrel. Enjoy this great whiskey. 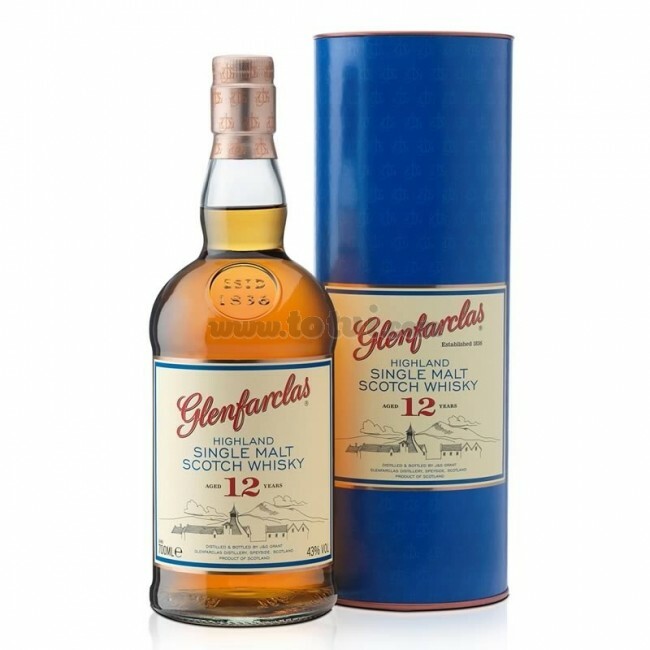 Glenfarclas Single Malt 12 years is a Scotish Whiskey ideal to drink alone or with a drop of water. Vibrant amber color. On the nose we find fresh and beautifully light fruit combined with a spicy sweetness. In the mouth it came with a body and delicious sliced fruit, oak and delicious sweet sensations. Long and tasty finish, with a persistent spiciness. 100% maduration in sherry barrel.